Roof coatings come in a variety of formulations and are an economical way to extend the life of metal roofs and single ply membranes. 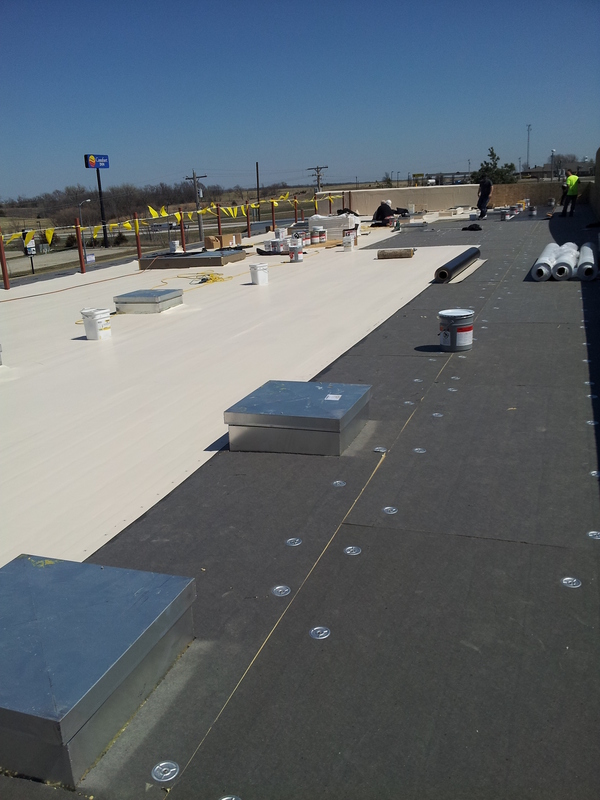 Coating an existing metal building roof can save the building owner as much as 75% over the cost of replacing the roof. When used as an overcoat for single ply roofs, coatings can extend the usable life by 12 to 15 years, and eliminate the need for roof tear-off and debris disposal. Applications such as these are warrantable for 10 years and comply with Energy Star requirements.